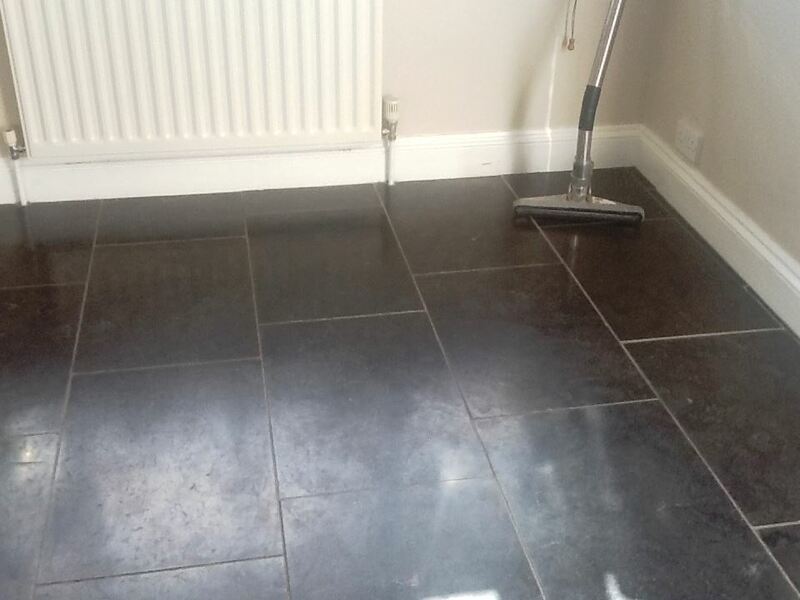 This customer from the town of Brackley near Northampton got in touch with us to discuss their lovely black Marble tiled floor where it was proving difficult to maintain the shine. I went to visit and after carrying out some tests and asking a number of questions it became clear that that the product that had been used for regular cleaning had a high alkaline detergent content which was not suitable for the floor and had been causing smears, there were also light scratches due to the soiling levels. For polished stone or sealed floors we always recommend a neutral PH cleaning product such a Tile Doctor Neutral Cleaner. To remove the light scratches and restore the shine on the Marble it was necessary to cut back the surface and re-polish with a set of burnishing pads. The pads come in a set of four and are applied in sequence starting with a coarse pad together with a little water to cut through the old sealer and grime. You then progress through the other finer pads one by one until you get to the final polishing pad which provides a high polish. After polishing the floor was rinsed down to remove any slurry from the polishing process and then allowed to dry before sealing with Tile Doctor Colour Grow which impregnates the pores in the stone enhancing the natural colours and protecting it from future staining. Before leaving we spoke again on the types of cleaning solutions to get the best results and she was over the moon with the results. My Wife and myself are over the moon with our restored Victorian tiled hallway. Phil Vissian is prompt, professional and polite. Great job. Thank you. Very happy with the restoration of my Victorian tiled floor, cleaned, sealed and polished bringing it back to life. Phil was prompt to get back to me with any aftercare questions/queries/visits. 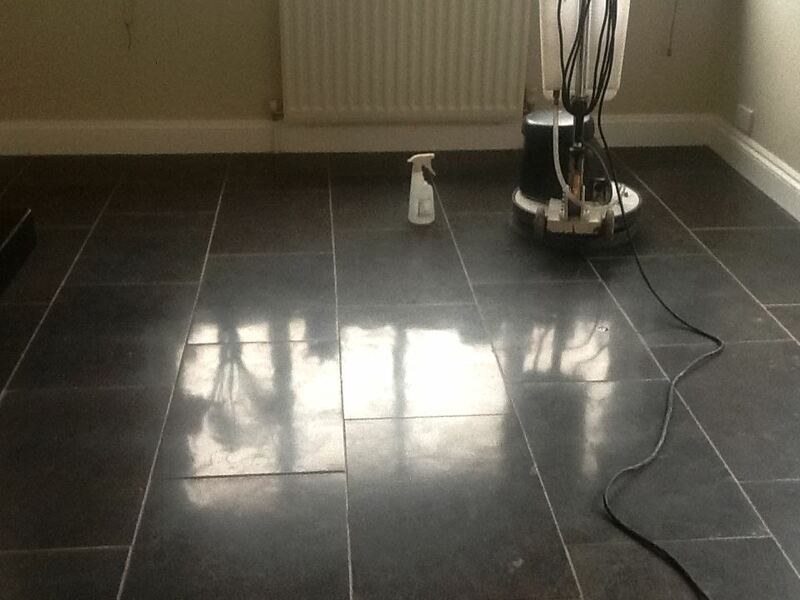 Thank you so much Phil for a professional service resulting in my floor looking just as I wanted it too. You were attentive to all detail . I would strongly recommend Phil as a trustworthy, honest person to anyone who is considering work done. See you again in the Summer Phil to clean my patio. 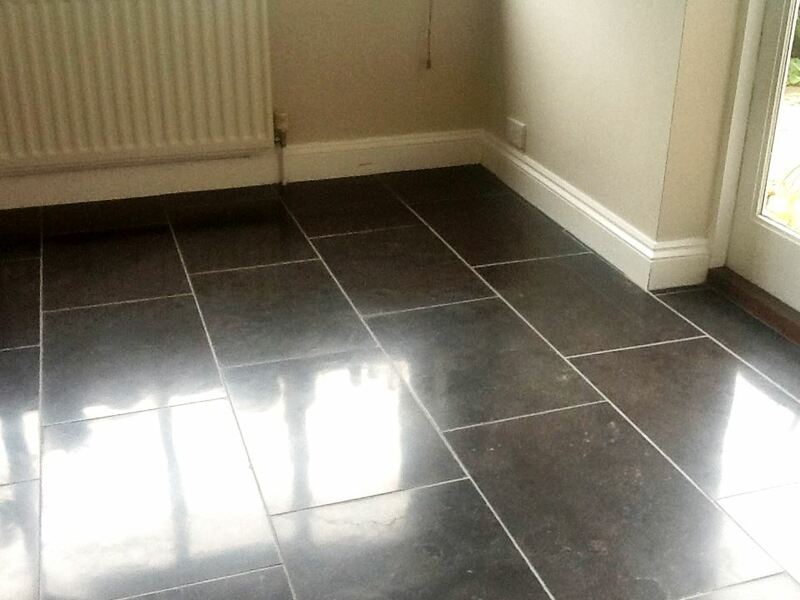 I was about to replace my Limestone 12 year old floor … then Phil the tile Doctor worked his magic… I now have a good as new lovely floor, I am absolutely delighted. Thanks so much Phil. Reliable. Turned up when he said. Did a very good job. Looks so much better than before it was done. Came back to brush sand between the pavers and left some sand for me to use as and when the sand sinks. Clea ed up all the mess including the windows which had got splashed.